Any showroom in pindi, islamabad, peshawar, taxila, attock, abbotabad . Bro I got 175/70/13, Dunlop, Thai made. This tyre costs 5k per piece otherwise. This was the softest available among Yokohama, Dunlop Japani and Nankang. They traded-in my tyres for 12k and I paid 8k extra. I had driven my car for about 100 km at that time. I will post a picture tomorrow morning insha Allah. I got the tyres from J Rashid, Neela Gumbad. If you want to change tyres, the earlier you go, the lesser difference you would have to pay. Y did u need to change the tyres? he specs of the new tyres u mentioned here are only thicker than the previous ones, and reduce the mileage per litre of ur car. They have the same diameter though. I got silky silver last week from Suzuki Pioneer motors multan. And as per my information, they have another silky silver item in their showroom. 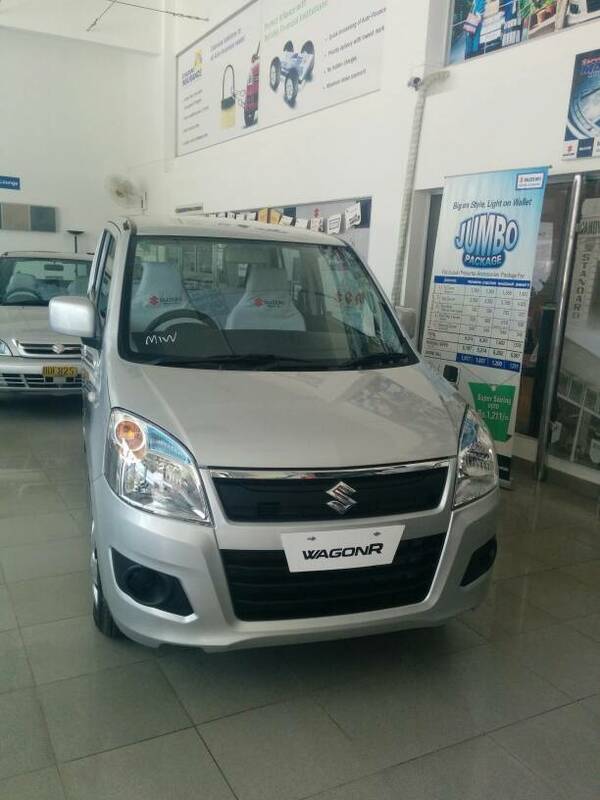 Suzuki Multan motors have sand beige and another one in multan had grey colored wagonR 2 months ago. P.S. it looks great in white too. I was reading this thread since last 2 months while struggling purchase of new car. After 01 month surveys at several showrooms on jamshed road, khalid bin waleed road, visits on news papers and olx adds .....a lots of thorough research on various Pakistani and Japanese cars, I finally decide to purchase Suzuki Wagon R VXL. Alhamdolilah Now I have new zero meter Suzuki Wagon R since last 03 weeks, I bought it from Mecca Motors Karachi, It costs me almost 10.5 million with registration, tax, 04 years extended warranty/80,000 kilometers, floor mats, vehicle outer cover, steering cover, perfume bottle and holder, suzuki white seat covers, back upper spoiler. I am so much thankful to Almighty Allah for guiding me towards the right choice and decision, I am more than satisfied and very much happy with the performance of Pakistani Suzuki Wagon R. I have found following in Suzuki Wagon R.
1- Very much fuel efficient with A.C.
6- Aerodynamics body which distract opposite side air and reduce burden on engine results in smooth drive and fuel saving. 7- Zero meter car is much better from used JDMs ...why? - JDM repair is expensive 10:100 ratio means new Pakistani vehicle part cost 3,000 the same JDM part cost 25,000 , Pakistani vehicle wiring cost 25,000 JDM wiring cost 100,000. - JDMs have no resale, Pakistani vehicles resale is much better. - JDM cars have drive experience but now Wagon R is a Pakistani car which is providing JDM cars drive experience, keeping in view above why we would purchase a used JDM in higher price ? 9- Wagon R runs smooth on un-even roads and it's floor is up as per requirements of Pakistani roads. In short I love this car. I would suggest don't go on shape,it's shape is advance and still existing shape become fantastic with additional back upper spoiler Pak suzuki is offering back upper spoiler as an additional accessory. Bookes wagon R VXL last saturday and yesterday showroom ppl called me and said ghat they are not able to provide silky silver wagon R...only white is available...now we are forced to buy pathetic white colored wagon R...totally non sense behaviour and irresponsible attitude shown by suzuki....please if anybody knows any other color available at any showroom..pl let me know.. The 145/80R13 is actually the best fit as far as better mileage per litre is concerned. Even Maruti wagonR is also offering the tyres of almost the same specs (145/70R13). If mileage is not the top priority for u, u may go for other specs. I bought it from Mecca Motors Karachi, It costs me almost 10.5 million with registration, tax, 04 years extended warranty/80,000 kilometers, floor mats, vehicle outer cover, steering cover, perfume bottle and holder, suzuki white seat covers, back upper spoiler. How did u buy it in 10.5 k including the rear spoiler? Rear spoiler comes in accessories and the dealer told me u can have it buy payong 22k xtra. Now I have new zero meter Suzuki Wagon R since last 03 weeks, I bought it from Mecca Motors Karachi, It costs me almost 10.5 million with registration, tax, 04 years extended warranty/80,000 kilometers, floor mats, vehicle outer cover, steering cover, perfume bottle and holder, suzuki white seat covers, back upper spoiler. Without ac upto 16.5 km/l within City, with 100% AC 14km/l, Calculated it several times, actually every time i fill up the tank, so i just averaged it out. means waqt k sath mileage will improve? and its w.r.t karachi's conditions and temperatures? Yes karachi weather, road and traffic condition. My car is on Alloys and 175/70/r13 tires so you can judge the mileage. But mileage depends on many things like no. of people sitting, short trip to congested road will certainly bring it down. 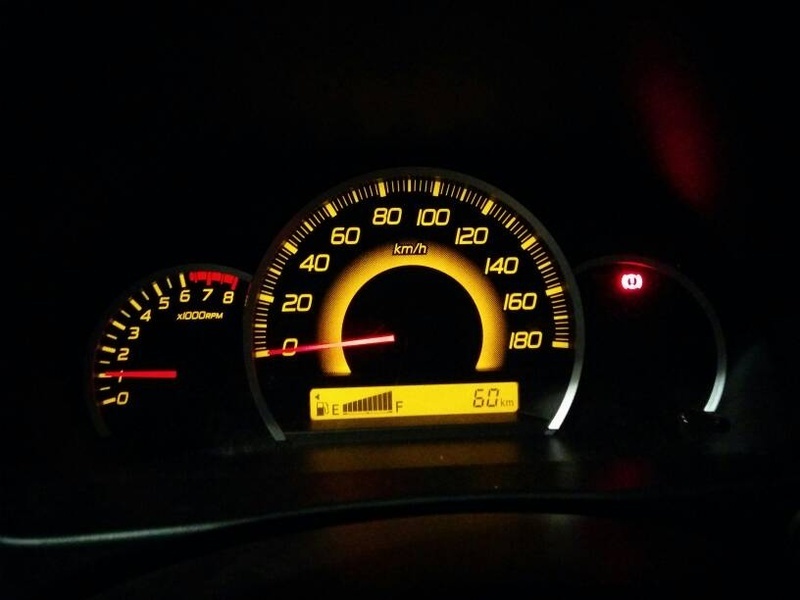 But what i have shared is Average mileage of Full tank not for a short trip only, so you should get close to it. It will be improved to maximum till first oil change at 5000 kms, after that it is almost constant for me, my car is approaching 15k kms now. Guys we have two keys of WR. One with remote n other without remote. My question is if the non remote key has immobiliser transponder? If we loose the remote key how to use the key less entry n also immobiliser works only after one locks the car with key. Ref the blinking of led in cluster. Can we clone the master key somehow for remote n immobiliser? Is Suzuki holding on imports in wait of new budget?